This is the story of Camille Preaker from the little town of Wind Gap Missouri, where her family is very wealthy because they own the primary business in the area… a slaughterhouse. When I hear the name Camille, I’m reminded of the classic film where the beautiful and desirable Greta Garbo falls slowly into a truly romanticized death. That’s a large part of what is going on in this book: sickness and dying as a beautiful, romantic, fulfilling, though eventually tragic experience. But that’s not the whole story. In contrast to the romantic deaths and near deaths in the leading family of the town, there is after all the stark, cruel, hideously noisy mass slaughter that comprises Wind Gap’s primary business. It may be the source of the town’s livelihood, but it’s a soul-destroying, dehumanizing activity that turns the men of the place into desensitized automatons. It also turns many of the young women into unhappy, shallow, narcissistic objects, though they are sharp, many of them… mentally and interpersonally, sharp as in attractive, bright and intelligent and sharp as in cutting and cruel. Camille’s a victim of the forces at work in the town. She’s managed to escape to the big city (not unscarred, of course) but still, she’s gotten away with her life and some vital percentage of her sanity. Then a little girl is murdered in Wind Gap, and all of the girl’s teeth are pulled out. 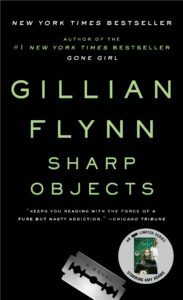 She has not been sexually molested, and all in all, it’s a somewhat unusual murder and not the typical work of a serial killer. A year later another little girl disappears. Camille is working as a reporter in a third-rate newspaper in Chicago, and her boss decides to send her back to her hometown to cover the story, thinking that it might help the paper’s failing circulation and perhaps even Camille’s rather fragile mental health. That Camille is stronger than anyone expects in very many ways gives her a substantial opportunity to get to the bottom of the murders and shed light on some of the other tragic goings-on in Wind Gap. Whether or not she is strong enough to survive all the sharp objects she encounters in the process is another story. 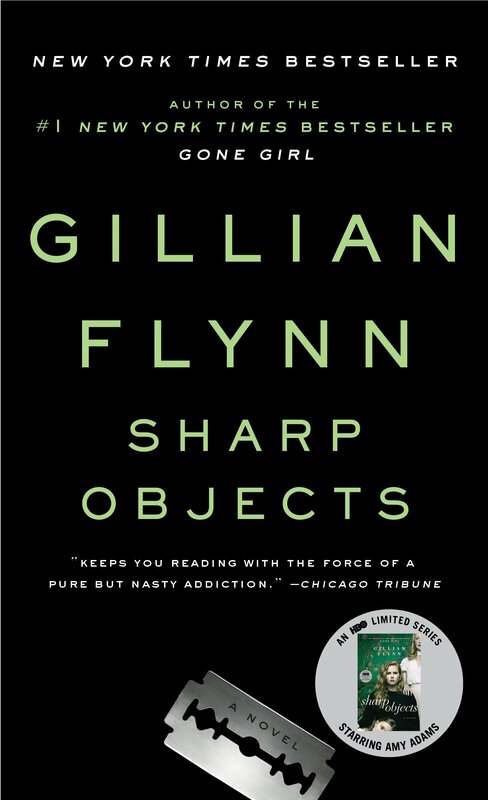 Gillian Flynn is an amazing writer with excellent powers of description and great insight into the minds and capabilities of her characters. She infuses the places she takes us to with dark and ominous personalities and directives of their own. This is a wonderfully creative but extremely dark and troubling read.